Which Tooth Whitener Works Best in Provo? What is the best professional tooth whitening system to use in Utah County? There are two types of dentist-supervised tooth whitening systems available in Utah County. In order to determine the best choice for your teeth, schedule, and budget, you need to understand the differences in the systems. Both systems use a bleaching agent containing peroxide. Utah County dentists who offer professional in-office tooth bleaching use a whitening gel with a high concentration of peroxide. Some Utah County in-office tooth whitening systems use a light that causes the tooth bleaching agent to work faster. There are different types of lights including halogen, plasma arc, metal halide and laser; but they all work the same way. When the light is shined at teeth on which the whitening gel is applied, it causes the peroxide to break down into free radicals, which are active oxygen molecules. This process naturally occurs without the light, but the light makes it happen faster. That is why you can get whiter teeth in just one hour with Zoom whitening. Most Utah County cosmetic dentists also offer take home tooth whitening systems. 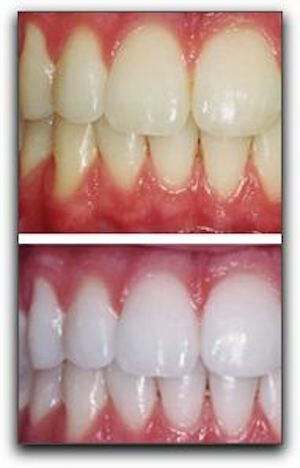 Although these procedures take a bit longer to work, they achieve the same dramatic results. For many Utah County clients, this is the most affordable teeth whitening system. 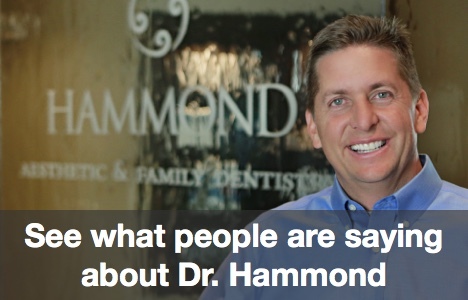 At Hammond Aesthetic & General Dentistry, we offer safe and effective teeth whitening. Our Utah County cosmetic dentistry patients can’t believe how great their teeth look when they remove the stains and restore the brightness. If you would like to learn why our system is superior, schedule a consultation by calling our office at 801-374-0070.